Fundraising software is used by nonprofit organizations to manage funding processes. Its main goal is to attract and retain donors, and to ensure their loyalty and continuous financing. Fundraising campaigns can be performed online through social media and email campaigns, or during live events. The users of this type of software need to track the efficiency of any fundraising initiative and to develop long-term relationships with donors. Fundraising software integrates with accounting or payment solutions for financial transactions processing. Also, it may require integration with nonprofit CRM or donor management solutions, when these features are not included in the fundraising software. Fundraising reviews by real, verified users. Find unbiased ratings on user satisfaction, features, and price based on the most reviews available anywhere. Classy is a social enterprise that creates world-class online fundraising tools for nonprofits, modernizing the giving experience to accelerate social impact around the world. Since 2011, more than 4,000 nonprofits have collectively raised over one billion dollars on the Classy platform. From crowdfunding to peer-to-peer fundraising, event registration & management, and one-time or recurring donations, nonprofits of all sizes trust Classy to manage all of their online fundraising under one roof. Classy’s award-winning, open API empowers anyone to build custom tools and unique supporter experiences, and out of the box integrations with third-party tools like Salesforce and MailChimp provide the most robust and powerful donor ecosystem in the market. For more information, visit www.classy.org. Bloomerang helps nonprofit organizations to reach, engage and retain the advocates they depend on to achieve their vision for a better world. Our cloud-based donor management application is rooted in principles of philanthropy, simple to use and focused on empowering your team to achieve remarkable results through enhanced donor loyalty. 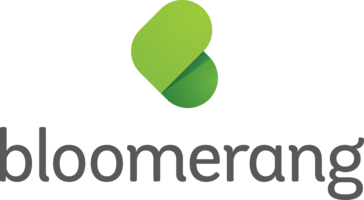 Bloomerang is designed to deliver maximum results, maximum utilization by your team and maximum flexibility with no need for additional technology spending on your part. Plugging in the latest technologies and delivering them with a clean, modern interface and with the added benefit of donor retention insights, our system is your “go-to” for better fundraising! As the top-rated fundraising solution in independent reviews, with tens of thousands of users, DonorPerfect helps nonprofit organizations raise more money and nurture lasting relationships with donors and supporters. We're a company of passionate people that built a platform that makes online fundraising easy for nonprofits. We believe your fundraising platform shouldn't limit your success! That's why we offer: - Unlimited donation forms - Unlimited event registrations - Unlimited users and administrators - Unlimited access to all features in a given package - Unlimited training and support The best part of Qgiv is that there are no contracts: if you want to explore other feature packages or tools, you can try them with no risk. Explore text giving, crowdfunding, peer-to-peer fundraising, and more without worry -- you don't have to keep them if you don't love them! Getting started is free and easy! 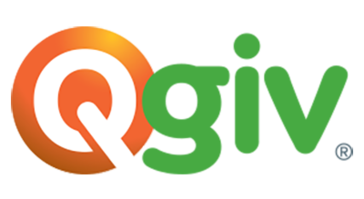 Thousands of nonprofits have raised over half a billion dollars through Qgiv so far -- you can join them! GoFundMe is the world’s largest social fundraising platform, with over $5 billion raised so far. DonorDrive helps nonprofits to raise more money through peer-to-peer fundraising software. For 20 years, DonorDrive has helped organizations like Mothers Against Drunk Driving, Children’s Miracle Network Hospitals, American Foundation for Suicide Prevention, and Arthritis Foundation to raise more than $1 Billion. Find out more at DonorDrive.com. Indiegogo is a crowdfunding engine that helps individuals, groups and non-profits raise money online to make their ideas a reality. Refreshingly easy donor management software that fully integrates with best-in-class fundraising pages and personal fundraising coaches. Since 2001, Network for Good has powered 125,000 small but mighty nonprofits raise over $2.5 billion in donations. CrowdRise is a crowdfunding platform dedicated exclusively to nonprofit fundraising. Kindful is a donor management platform with fundraising tools built-in. Our mission is to provide nonprofit employees with powerful software to help them organize their data and manage their donors better, so they can make a greater impact on the world. DonorSnap is a comprehensive donor management and CRM system. Track you contacts, donations, members, volunteers, and all other types of supporters in one database. Manage all of your communications, mail merge letters, donation receipts, etc. inside of DonorSnap. Integrations with popular software systems like QuickBooks Online, QuickBooks Desktop, DonorSearch for wealth management, and Constant Contact eliminate the need for duplicate entry. Collect online donations through our mobile responsive forms tool, and send mass emails directly from your database at no extra charge. Foundation Directory Online is a valuable resource for nonprofits’ fundraising needs. With interactive maps and charts, RFPs, and key funder and grants insights, FDO helps nonprofits identify funding sources, build their prospect networks, and win the funding to support their missions. Luminate executes your online strategy with integrated campaigns for digital, social and mobile channels, so you can engage more effectively with your supporters to raise more money for your mission. Little Green Light is a complete fundraising and donor management system designed to give nonprofits the confidence and ability to succeed. Affordably priced, Little Green Light delivers power & flexibility to grow with the changing needs of nonprofits everywhere. Join our growing community of satisfied users. Salsa Engage is an online supporter engagement platform for digital marketing, online fundraising, online advocacy, and peer to peer fundraising. FanAngel is a "sports-driven" fundraising platform, designed to appeal to the passion of their fans. Center to FanAngel is the "performance pledges". Imagine being asked to donate $10 for each touchdown at a key rivalry game or for each win during the playoffs...and now you start to get the picture. But FanAngel doesn't stop there. FanAngel continues to innovate around what works in sports fundraising, currently supporting multiple reward options, sponsorships, social interactions, compliance features and will continue to innovate around the teams/athletes and their fans. Blackbaud Online Express is a simple, smart solution for Raiser's Edge users that want to be up and running within minutes, leveraging savvy features built for nonprofits, with little additional cost. With templates designed specifically for nonprofit organizations and a drag and drop editor, creating forms and emails is quick and easy. Greater Giving, a Global Payments company, is dedicated to providing technology solutions to the nonprofit community in order to improve their fundraising efforts. Greater Giving offers integrated and stand-alone solutions that include event management software, online registration and donation services, online bidding, on-site payment collection, and credit card processing. Best-in-class customer service is also provided leading up to and for the duration of an event. Since 2002, Greater Giving has processed more than $6B in credit card payments in support of nonprofit causes for thousands of organizations and schools across the United States and Canada. Greater Giving also provides free fundraising education resources throughout the year, including webinars, live seminars, eBooks, guides and blog articles. For more information, visit www.greatergiving.com. DonorDock is the helpful teammate you have been dreaming of for years. You simply add in your data and DonorDock goes to work right away to help you make smart moves that will lead to more money raised for your important cause. It has been thoughtfully designed to assist you in taking action. Publishizer is a NYC-based startup and crowdfunding platform that’s helped hundreds of authors get published. Authors have used Publishizer to earn over $1 million in funds. Publishizer uses proprietary software to query your proposal to a targeted list of acquiring editors from traditional publishers. We pride ourselves on working with world-class thought leaders, speakers, coaches, investors, and people doing interesting things. iMIS is the world's #1 solution for nonprofit, association, union and membership management in the cloud. iMIS Cloud offers the very latest in technology, including a powerful API with hundreds of proven integrations, a built-in engagement scoring engine, dynamic dashboards, an optional Web CMS, and all the features you need to manage your organization. Donately is the simplest way to fundraise online. We designed Donately to be easy so you can raise more money with less effort & continue focusing on making the world a better place. We have absolutely no start up costs, no monthly fees, & no contracts. With Donately, you'll get unlimited campaign & crowdfunding pages, customizable donation forms that can be embedded on your website, automatic donor receipts and much more. We know simple is better. Join us, and see why for yourself. GolfRegistrations is a complete online registration and tournament management system for fundraising golf tournaments. The software includes: - a mobile-responsive golf tournament website template - online registration for individual golfers and teams - sponsor registration and promotion - golf product sales (mulligans, golf clothing, dinner tickets) - foursome or team pairing - detailed order and financial reporting The administration area provides a complete player database, storing registration information (name, address, phones, payment details, email, etc. ), as well as email broadcast and email template capability, allowing tournament directors to easily communicate with registered players, sponsors, or prospective supporters. GolfRegistrations Golf Pro integrates with the industry's leading payment processors, so you manage the intake of your money. Tessitura is an enterprise CRM system that powers all key business functions for museums, attractions, and performing arts organizations. From ticketing and admissions, fundraising, and memberships to education, marketing, analytics, and more, Tessitura’s unified platform enables a seamless, 360-degree view of all visitors, donors, members, and volunteers. In addition to its flagship software, Tessitura offers a range of complementary services that empower its users to achieve their goals. Those users form a community of industry leaders that enjoys an unprecedented level of knowledge sharing and collaboration. Tessitura also works with numerous partner organizations to extend the power of what its members can do. Operating since 2001, Tessitura Network, Inc. is proud to be a member-owned and governed nonprofit. Tessitura serves over 600 organizations in ten countries including museums, theatres, performing arts centers, operas, orchestras, festivals, dance companies, zoos, aquariums, film centers, historical sites, and more. For more information about Tessitura, visit www.tessituranetwork.com. Cloud-based ClearView CRM is fundraising software that supports nonprofits' efforts to raise money and manage donor services departments. It includes constituent relationship management; business intelligence and reporting; operational tools like data import/export, list segmentation/selection, and gift processing; wealth screening; and a mobile app for frontline fundraisers. Features --Powerful constituent relationship management: complete profiles--with touches and contacts, giving history, interests, demographics and more--coupled with opportunities management to coordinate and automate activities, communications and other efforts in pursuit of donations, including major and planned gifts. --Operational tools like list selection/segmentation for large, complex online and offline direct-mail campaigns, gift processing, data import/export and more. --Hundreds of built-in reports on gifts, donors, pipelines, trends, and more, and intuitive ad hoc reporting and business intelligence tools that let organizations --Free mobile app, ClearView CRM Mobile. All-in-one fundraising software for nonprofits, organizations, and political candidates to further their online presence. Accelevents is a mobile fundraising and event ticketing platform. From selling ticketing your event to raising more money by using our engaging mobile fundraising tools, Accelevents is your one-stop shop for all things fundraising and event management. Our end-to-end event ticketing tool allows you to create and sell custom tickets online in minutes. From a fundraising perspective, our mobile silent auctions and raffles are enabled for both text message and online donation / bidding capabilities, people can bid from anywhere at anytime. CRM technology designed for arts and cultural organizations. Auction Manager is a fundraising, event management, and auction management solution for schools and nonprofits. Fundraising Report Card is a cloud based analytics & reporting platform for nonprofits that drill-downs on donor retention, donor churn, and produces interactive charts and visualizations that help make sense of donor data. Founded in Austin, TX in 2007 by a pair of nonprofit technology veterans, Kimbia’s cloud-based online fundraising software was designed around creating a better user experience for the donor and fundraiser. Our online fundraising software is built upon our core principles of being fast, flexible, effective and secure. With our patented embeddable donation form technology, you can easily place a Kimbia donation form on your existing website without the hassle of duplicating the same look and feel of your existing website, or learning a new content management system. Used by over 10,000 nonprofits, higher education institutions and community foundations, Kimbia’s online fundraising and event management applications help fundraisers launch and manage multi-channel online fundraising campaigns, moving the needle faster. Through Kimbia’s online fundraising tools, organizations are able to harness the power of community through giving days, set up peer-to-peer fundraising campaigns, manage event registration for run/walk/ride, galas and golf tournaments, and create beautiful donation forms for year-round online giving. Whether a donation form, registration form, or personal fundraising page and center, Kimbia’s full suite of fundraising tools are mobile-responsive right out-of-the-box. Additionally, social sharing tools let fundraisers and supporters broadcast the campaign across their networks. In addition to year-round, events and peer-to-peer fundraising, the Kimbia giving day event manager is the best in the industry, with some of our clients raising $15M, $30M or more in a single 24-hour period. Giving day donation forms can be added to nonprofit and partner websites by copying and pasting the code, while campaign progress is tracked in real-time and displayed on leaderboards for supporters to see. Kimbia integrates with almost any CRM tool, including Salesforce and the Raiser’s Edge, and is capable of sending data triggers to your email marketing tool. Kimbia brings your nonprofit marketing stack full circle in offering a wide variety of fundraising campaign options. Clients who have switched to Kimbia have seen a 30% increase in donation conversion with our features such as Simple Pay, and prefill technology, that make it easier to turn one-time time donors into repeat and sustaining donors. An online and peer-to-peer fundraising platform for fundraising and communication teams at nonprofits. You can use CauseVox to create and manage online fundraising campaigns that inspire, activate, and rally your supporters to reach new donors. You don't just get a tool. Unlike other confusing and cumbersome fundraising platforms, CauseVox is easy-to-use for you and your supporters with flexible pricing, experienced support, and industry-leading resources. Donorbox is a powerful, state-of-the-art fundraising software that is simple to set up and attracts more recurring donors. Start fundraising with a fast, optimized donation payment system in 15 minutes. Over 18,000 organizations in 25 countries use our fundraising platform, which is available in 9 languages and 28 currencies. Donorbox makes the donation checkout process quick and effortless by supporting donations through cards, PayPal, ACH bank transfers, Apple Pay, and Google Pay. With Donorbox, quickly embed an optimized recurring donation form in your website or utilize our campaign fundraising pages. Our forms enable donors to easily set up recurring donations, provide customization features to match your brand, enable employer donation matching, and allow you to ask your donor custom questions, where to designate the donation, or to dedicate the donation in honor of someone. Donorbox integrates with other tools and features like Salesforce, Mailchimp, Zapier, and PayPal donations, enabling you to unify your existing business applications and centralize donor management. NationBuilder gives organizers one smart system to grow their community and lead people to action. Fundraising software is vital to nonprofit organizations, as it constitutes a significant percentage of nonprofit revenue. Fundraising software gives nonprofits a single source for relevant fundraising data, allowing them to focus and streamline their efforts. Solutions in this category also promote and manage various methods of fundraising, allowing organizations to launch multi-pronged campaigns. Multi-method fundraising is key to ensuring all possible demographics and methods of communication have been leveraged. Fundraising software is the central operational base for any and all fundraising strategies carried out by a specific organization. Nonprofit organizations use fundraising software to raise money for their specific cause. The money is funneled toward whatever the organization needs help with, be it overhead, event costs, or something else. Within the organization, the employees tasked with fundraising utilize the software most often, though higher-level employees will use the data gathered by the software to formulate strategy and maintain an overview of fundraising operations. There are a few major types of fundraising. They differ greatly in the audiences they try to capture and the feature sets they contain. Peer-to-peer fundraising software — Peer-to-peer solutions are the newest craze within the nonprofit space, and there is ample evidence to support the notion that it provides more opportunity for fundraising greater amounts of money. Peer-to-peer is typically included as a feature within a larger fundraising solution, but there are specific peer-to-peer platforms as well. The basic notion of peer-to-peer fundraising software is that it extends the reach of the organization. Instead of the onus being entirely on your organization to produce fundraising results, it turns your donors into advocates. These advocates will then reach out to their network in order to raise money for your organization. Peer-to-peer fundraising platforms often focus on donation events and team-based donation. This configuration allows your advocates to become team leaders and spearhead the charge to organize and get people involved in a given cause. Team members will get their own donation pages, easily created and distributed by team leaders, to promote their own fundraising efforts. The entire goal of peer-to-peer is to extend the network of actively engaged donors, thereby increasing the amount of donations your organization receives. An example in recent years was the ALS Ice Bucket Challenge, which leveraged the power of peer-to-peer fundraising to drive over $100 million in donations in a short period of time. Text-to-give — This type of fundraising software has taken off in the past couple of years. The benefit of these solutions lies in their ease of use and the ease with which donors can give to an organization. Text-to-give solutions leverage phone service providers to facilitate an easy transaction. Nonprofits can implement text-to-give software and utilize it at events to make donation gathering easier on both sides. Auction — Auction fundraising software is a group of fundraising solutions that facilitate the planning and management of fundraising auctions. Auctions are a great channel through which nonprofits generate large amounts of revenue, and auction-specific fundraising software allows nonprofit organizations an easy way to put on auctions more easily. Crowdfunding – Crowdfunding fundraising software refers to applications that allow users to leverage the power of their networks to raise money. These applications provide sharing functions so campaigns can easily be shared among your network and their connections, with the hope that the campaign will pick up enough steam to go viral. Matching gift – Matching gift fundraising software refers to applications that facilitate employer matching of the charitable contributions of employees. These programs are popular ways for companies to engage in philanthropy, support their employees’ out-of-work interests, and check some boxes off on the corporate social responsibility checklist. As a nonprofit, matching gift programs are a fantastic way to leverage corporate desire for philanthropy and to double the donation amount. Email marketing – A key part of nonprofit fundraising over the past decade, fundraising software offers email marketing functionality to help users connect with potential donors. Direct mail — While response rates for direct mail have slowed, fundraising software still often contains direct mail capabilities so users can track and monitor direct mail campaigns and the data that is created as a result of those campaigns. Event planning — Event fundraising is a massive industry, and fundraising software typically provides users with features that enable them to plan fundraising events directly within the application. Fundraising events may include auctions or events like bike races, for which the entire goal is to raise money for the organization. Event planning features allow for the seamless transition from event planning to event management and donation collection. Donor profiles – Fundraising software builds and maintains donor profiles so nonprofit organizations can have a comprehensive overview of everyone contributing to a given cause. These donor profiles include donor history, all interactions that occurred between the organization and the donor, and donor information. Your organization can use these profiles to build out donor personas, which are analogous to the buyer personas often used in marketing strategy. These personas will help your organization shape their fundraising strategy and change it up depending on the specific persona they are going after. Campaign management – Fundraising software often contains fundraising campaign management features. These features allow users to actively manage and oversee their organization’s fundraising campaigns. Donation portal – A donation portal gives you the ability to accept donation payments directly in the application you’re using. Mobile-friendly – Fundraising is taking place more on mobile devices than ever before, so fundraising software vendors are offering more mobile-friendly solutions than ever before. Interaction tracking — Fundraising software often contains interaction tracking features, which provide your organization with an overview of all interactions between a given donor and your organization. This includes donation history, so you’re able to touch base with the donor at the correct times in order to turn them into a recurring donor. Reporting – Most fundraising software offers users fairly detailed and customizable reporting features, which employees can use to track the successes and failures of various fundraising strategies. Recurring donations – This feature gives organizations the ability to set up consistent donations for a given donor, ensuring a constant stream of income. Recurring donations also take the onus off of the organization to reach out again and again to the donor, removing the steps necessary for a donor to consistently contribute to a cause they deem of interest. Automation — Fundraising automation functionality allows your organization to automatically schedule email blasts and send receipts to donors. The more the system is automated, the more time your employees have to focus on value-adding tasks, like crafting strategy or planning the next viral fundraising campaign. The fundraising world constantly experiences change, particularly with the massive influx of technology and fundraising-specific applications that have popped up in the marketplace. There are a few trends to keep an eye on moving forward that will impact both the focus of your fundraising efforts as well as the structure and emphasis of fundraising technology. Mobile Payments — Online payments have become a major channel for nonprofit revenue streams in the past couple of years. More than 7% of all donations were made online in 2016, with an increasing percentage being made via mobile devices. The way to stay on top of this trend is to ensure that all of your donor touchpoints are optimized for mobile devices. You should also ensure that your fundraising and donor management solutions contain built-in payment gateways or at least integrate easily with a piece of nonprofit payment gateway software. As an increasing percentage of your donor base moves to online giving and eventually mobile giving, you need to ensure that your organization is set up to succeed. Donor Base Shift — This is a slower-moving trend but ties in to the shifting landscape within the nonprofit world. As the bulk of donations shift from older generations to younger generations, your organization needs to be cognizant of the change in mindset and increase in tech savviness. Younger generations, if not digital natives, are using technology in every aspect of their lives. They are accustomed to the convenience that the digital transformation enveloping nearly every sector has created. This familiarity with technology should drive you to meet these donors where they are comfortable and set things up so that donations become an integrated part of their lives. Set up recurring donations, ensure there is always an option for online giving, and make every campaign shareable. Fundraising software that falls within the nonprofit software ecosystem is heavily coupled with other categories of solutions. Software in this category integrates with nonprofit CRM software and donor management software. These applications also either integrate with nonprofit accounting software and nonprofit payment gateway software or provide the functionality of both categories built into the solution. Hi there! Can I help you find the best Fundraising solutions?